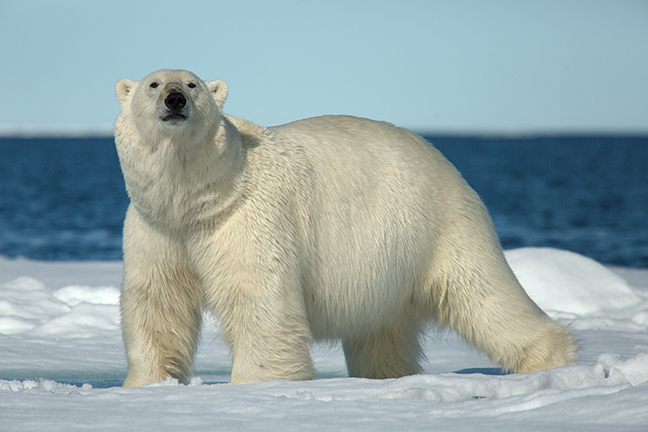 Polar Bears are the world’s largest land carnivores. 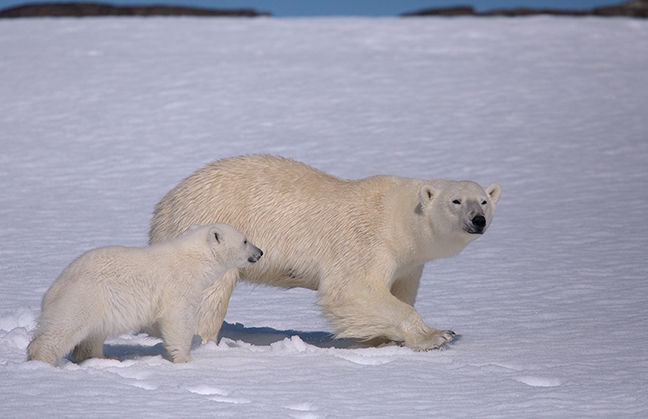 Svalbard’s bears are part of the Barents Sea population which covers the area from Spitsbergen in the west to the Russian archipelagos of Franz Josef Land and Novaya Zemlya in the east. 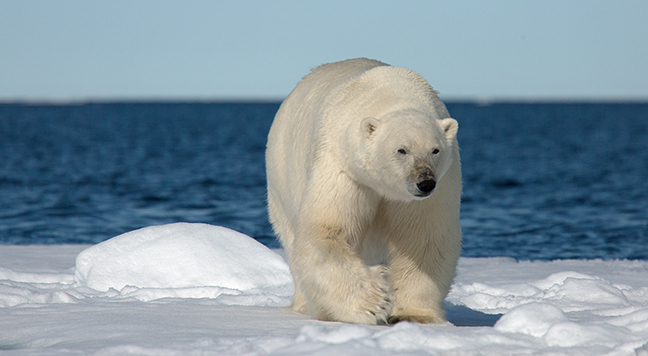 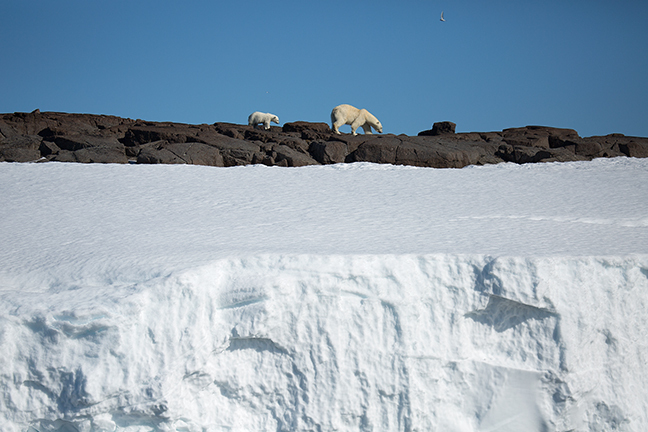 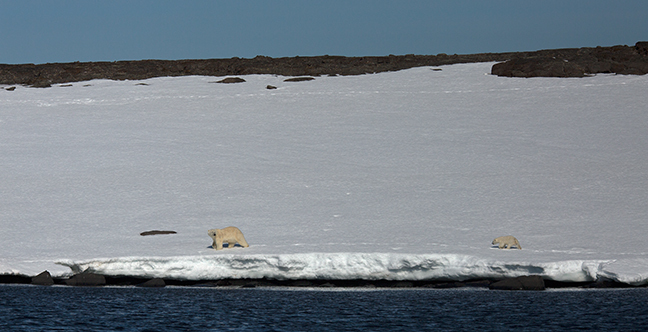 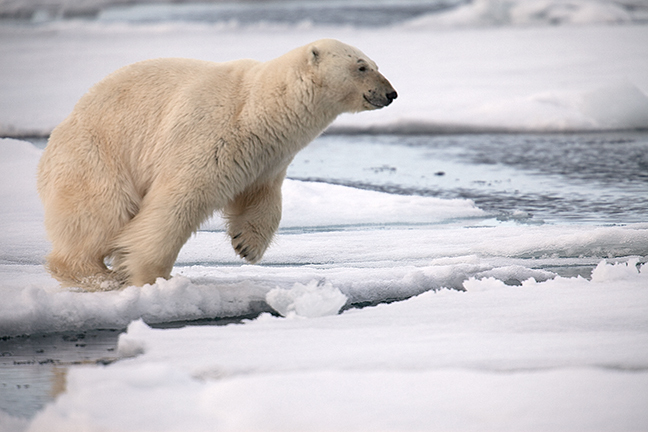 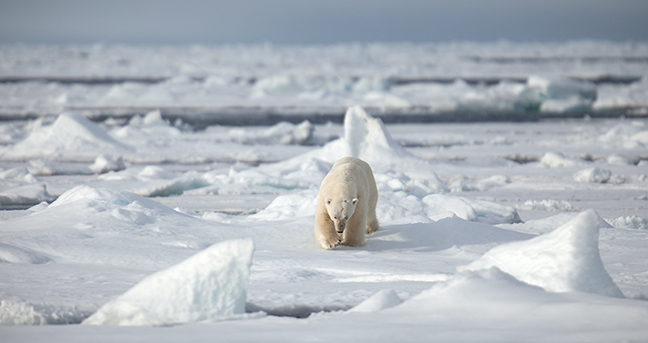 In Svalbard, the polar bear’s main prey are ringed and bearded seals and harp seals in offshore habitats. 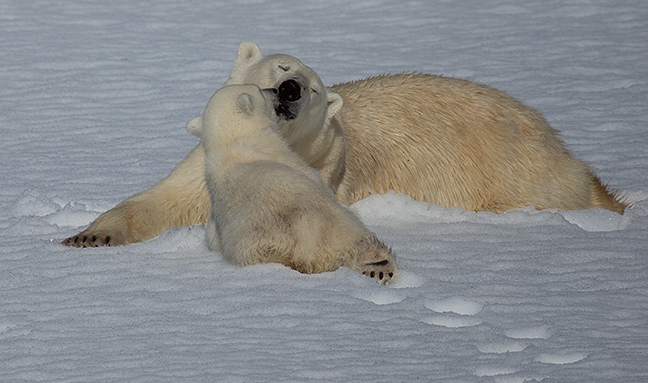 They feed almost exclusively on ice-living seals. 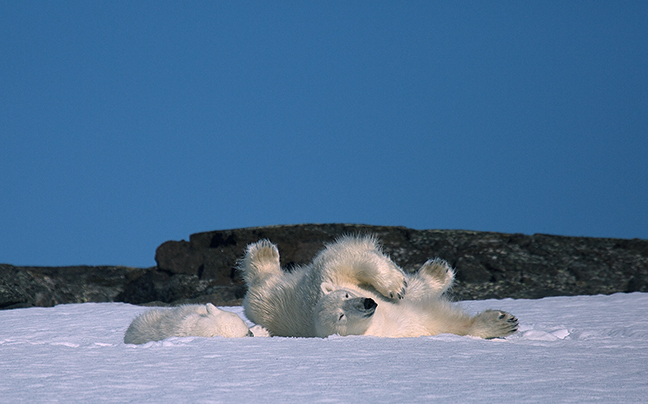 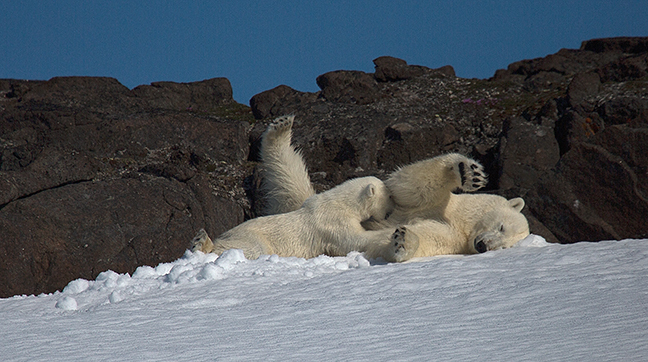 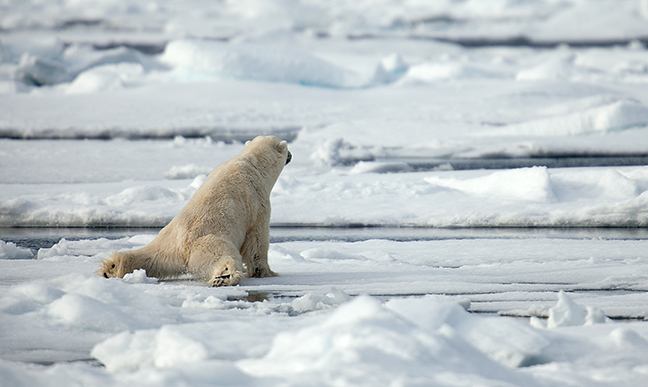 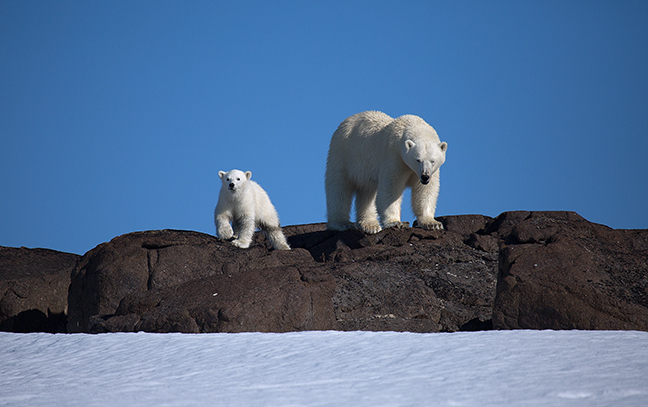 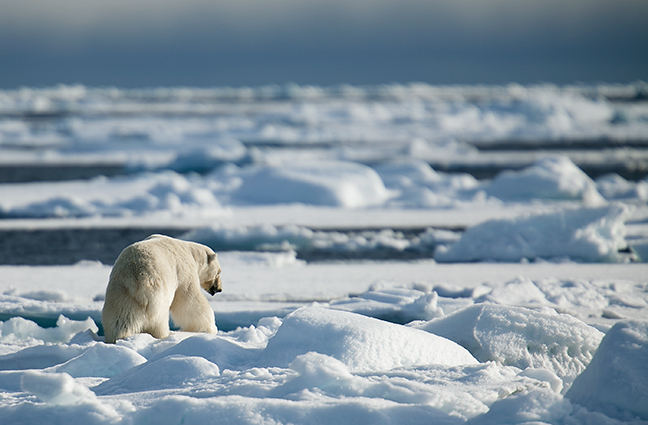 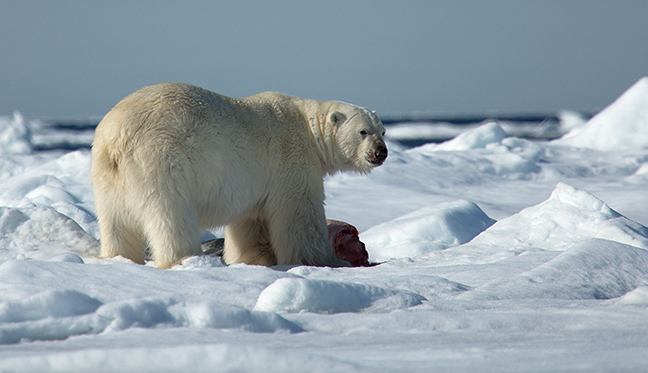 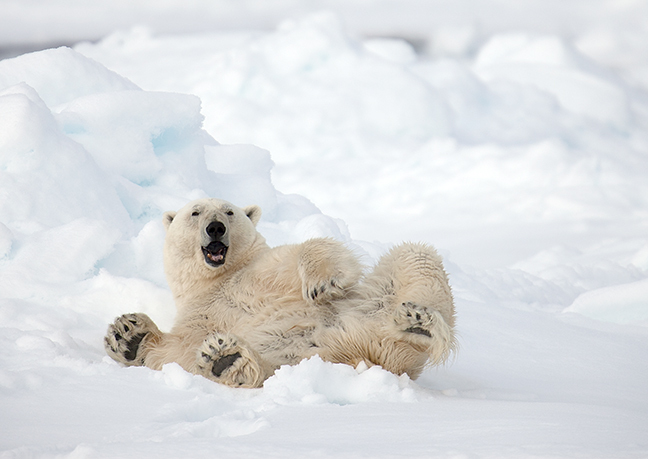 A healthy adult polar bear kills between 50 and 75 seals annually to meet its energy requirements.